Home » Articles » Want To Make Your Own Free Website? For some people, that will work fine. That is, if you’re willing to learn a lot of new stuff, and you know how to write in a way that entices people. For others it may make more sense to hire someone who is already skilled at making excellent websites. Your first decision if you decide to make your own free website, will be to pick the platform. As many people do, I recommend WordPress. It is easy to install. 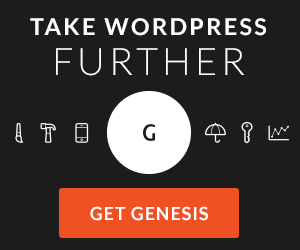 Your next step will be to configure WordPress. You will then decide on a “look and feel” for your website. What will it look like ? There are many free and paid themes available. For you, it might be a matter of picking a theme and you’re set. You may not want your site to look exactly like another site that uses the same theme. If so, you will need to customize it. This could include layout adjustments, and creating graphics to add to the site. You will need to learn about that. You need to install and configure a variety of plugins to give you the functionality you need. You need to know which plugins best provide the functionality. The plugin library is full of plugins, and not all are created equal. Once you have WordPress set up, some people think this is where “building a website” ends. This is not true. This is where the real work begins. You will have an “empty shell” for a website. This is like a house without appliances or furniture… not useful to anyone. You will have to decide what information to present to your visitors, and how to structure it. The result of these decisions will be your website page structure. A good page structure must help your visitors find information fast. Your next step is to create your web pages… that is, write content for your website. Content must be written in a way that will attract visitors and turn them into clients. The most important audience to write for, are your site visitors. To help them, you need to find out what they need. What problem are they trying to solve? Then offer your product or service as the solution. To get your message get across well, you need to write headlines that inspire readers to read your pages. You also need to write in a way that addresses your visitors’ needs. This is not a trivial task! Copywriters spend a long time learning these skills. Another audience to consider, are search engines. They will be bringing traffic to your website. Your web pages need to be created in a way that will help search engines understand their content. This is a high-level overview of the realities you face if you decide to make your own free website. Does it sound simple? Don’t be fooled! It is not as simple as it seems. Learning to create a website that works hard for you, is a time-consuming process. It includes learning a lot of new skills. If you like new challenges and learning new things, and you have the time, go for it. It may be a rewarding experience for you. If you don’t have the time or inclination to do that, you will be better off hiring an expert to do it. It might cost you money upfront, but that may pale in comparison to the money you will lose with a poor website.